The office has a Velscope unit which Dr. Northeast purchased in 2010. 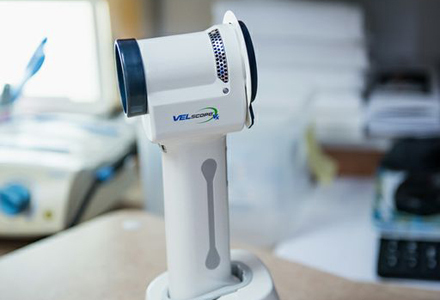 The Velscope is a blue light that causes the tissues in the oral cavity to flouresce. It allows detection of oral mucosal changes before they are able to be seen under normal light, therefore allowing for early detection of pathology.